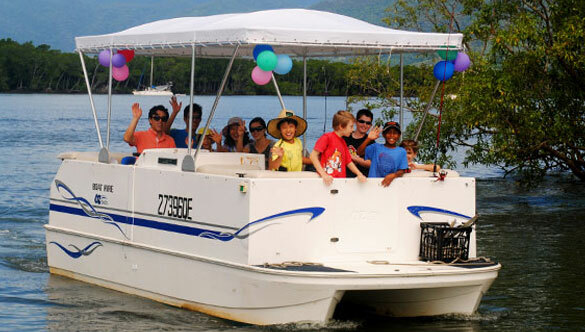 Hiring our self-drive boats is a popular pastime with locals and visitors to Cairns. 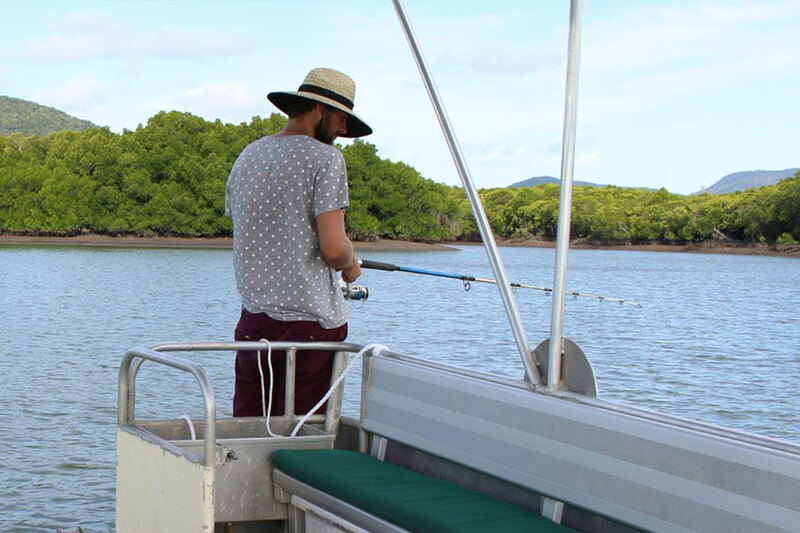 Enjoy fishing, sightseeing and even crocodile spotting along stunning Trinity Inlet. Relax on an all day adventure exploring the entire area around Admiralty Island or head out for a few hours to fish with some expert tips available on great areas for a catch from our crew. 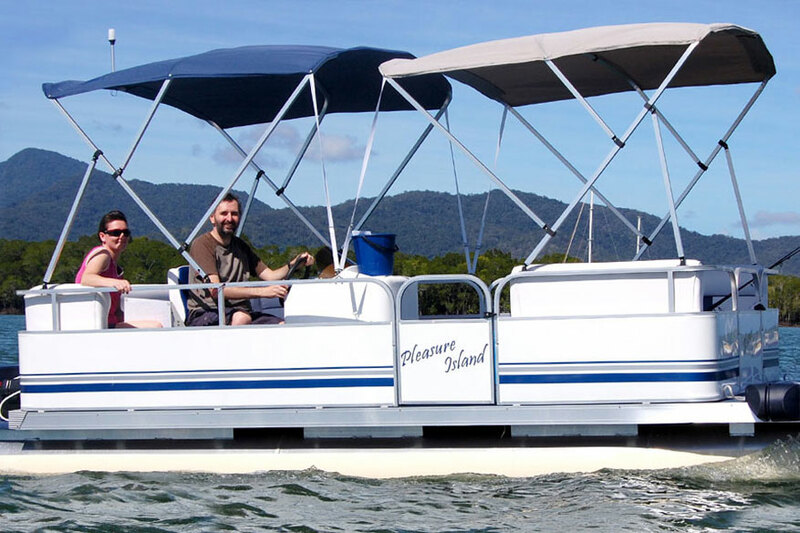 Hire a Skipper for an additional $50 per hour (included in passenger count) Please note a Marina Levy of $2 per passenger is payable at check-in. 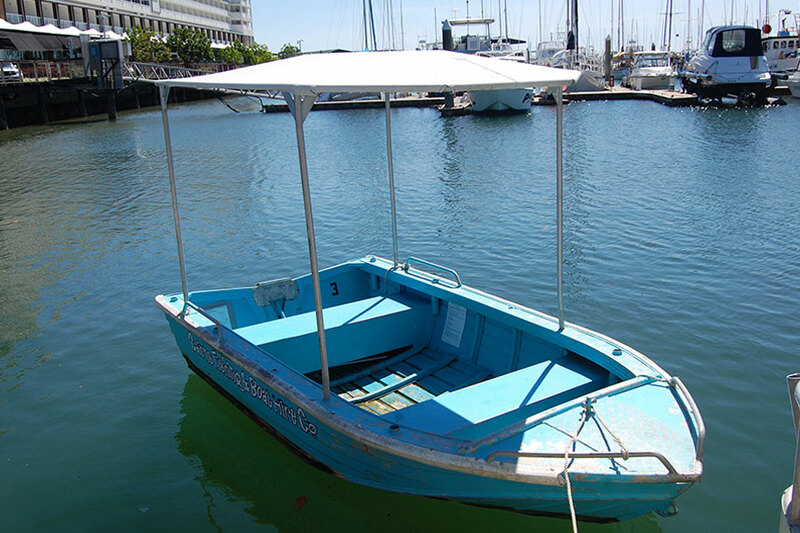 Please note a Marina Levy of $2 per passenger is payable at check-in. 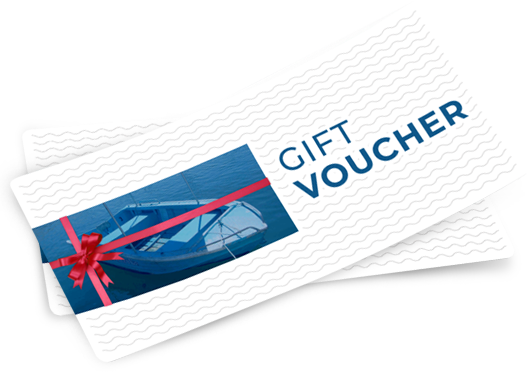 GIFT VOUCHERS On Sale Now for the Ultimate Christmas Gift! The Trinity Inlet is a beautiful estuary situated in Cairns, Queensland, Australia. The city centre is on the western bank where the inlet meets the sea. 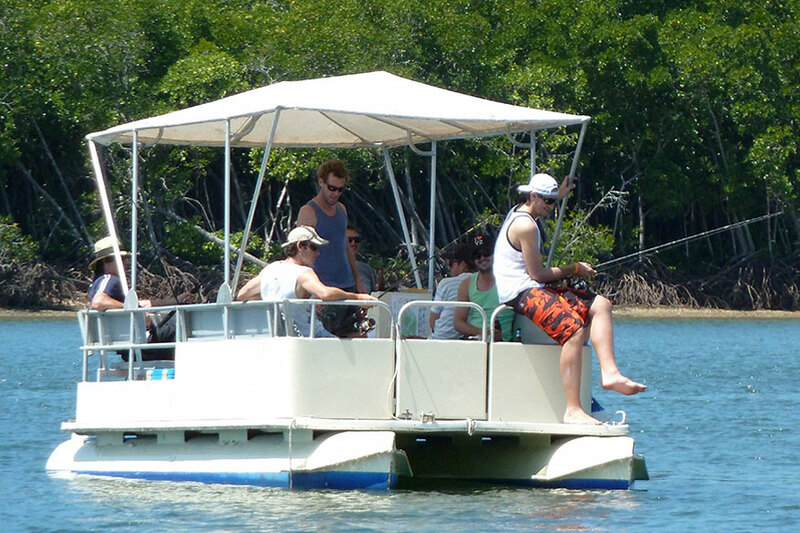 Hire one of our boats to enjoy a tranquil cruise of fish on the inlet with its backdrop of green hills and mangrove forests fringing the water's edge. This amazing waterway is where lots of locals like to spend time; it’s close to the city and filled with an abundance of wildlife such as pelicans, egrets and eagles feasting on a variety of fish. The Trinity Inlet is a very popular spot for fishing. It is lined with many creeks and mangroves, sunken vessels and sea grass. 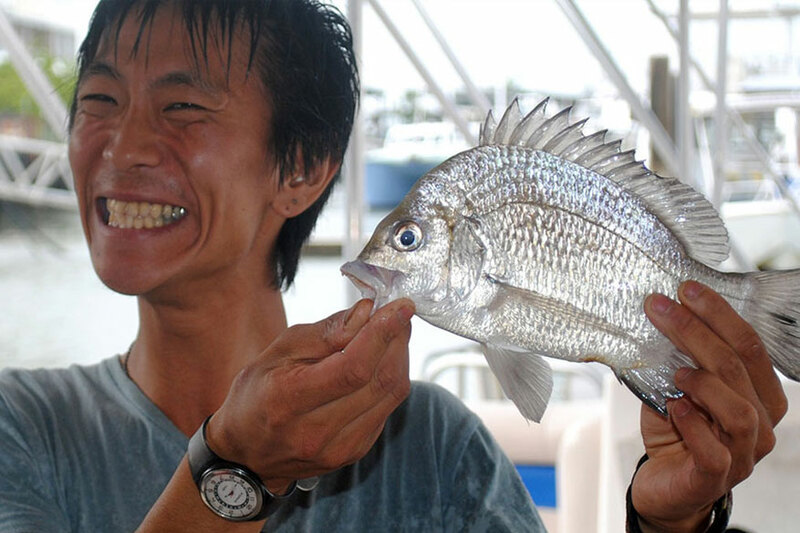 While available fish depend on seasonality, species available for the catch include Trevally, Barramundi, Queenfish, Golden Snapper and Grunter. The Inlet is a very active crocodile environment so we don’t recommend you swim, but it is magical to spot these huge animals basking in the sun on the creek beds. The Trinity inlet is a huge cyclone shelter region where all the marine vessels head when a cyclone is threatening. There is a huge body of smooth sheltered water in any weather. Fishing is great in the rain during the wet season too. 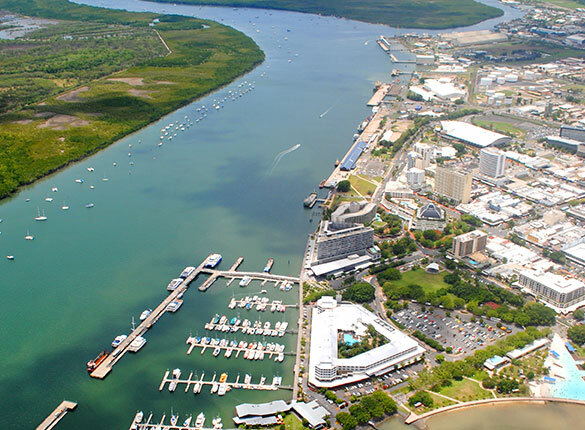 Cairns is home to an abundance of options for those who love the water, from Great Barrier Reef Cruises to deep sea fishing and water sports. Can I bring my own tackle/bait/fishing gear? Do I have to have a boat licence? 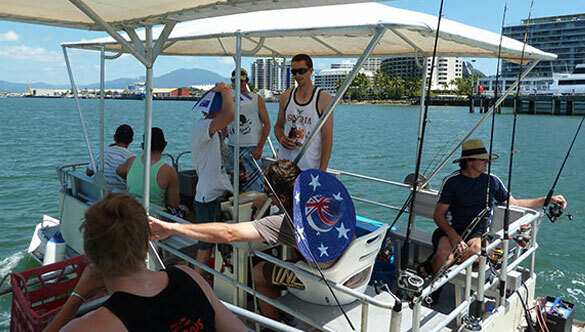 No, Cairns Boat Hire have boats suitable for those without a boat licence. If you do not have a boat licence, we will provide you with a suitable boat that does not exceed a speed of 10kts, in order to comply with Marine Law. We will give you some information on boat handling and the waterway prior to departure. 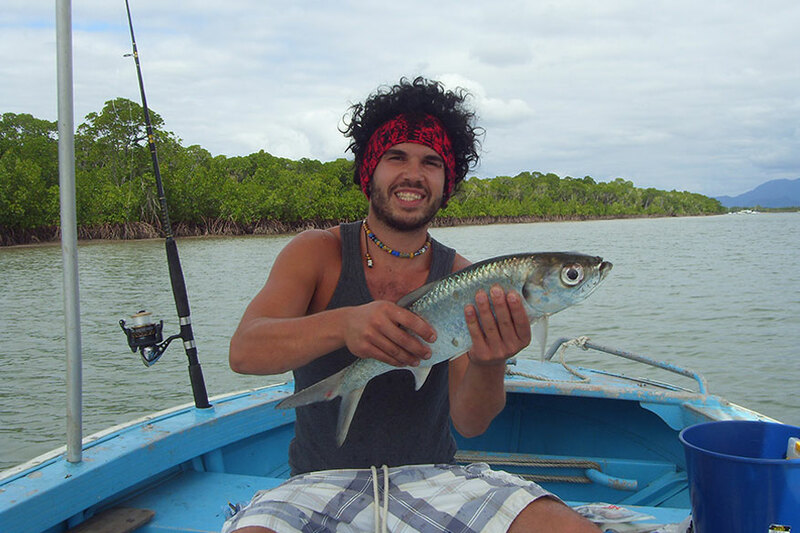 If you prefer you can hire one of our Skippers to accompany you on your cruise at a rate of $50 per hour. This service must be pre-booked and is subject to availability. Can I take the boat to the reef? No, outside the Inlet is out of bounds. 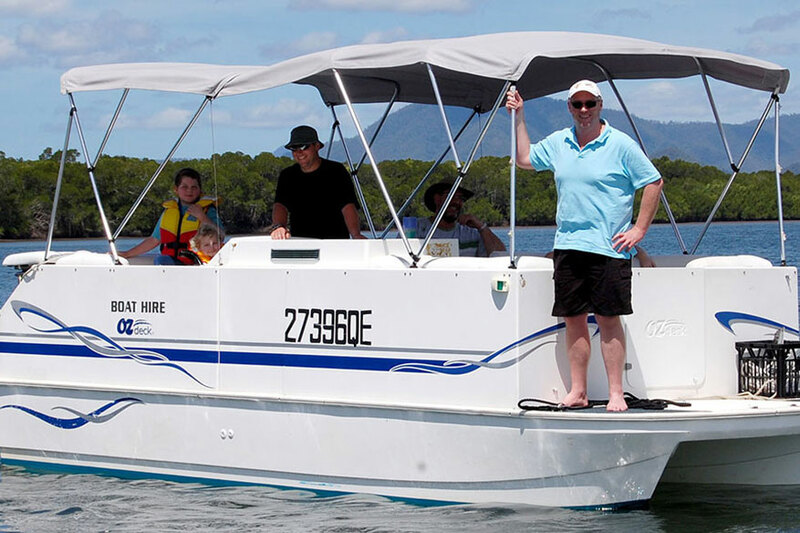 We do not hire boats suitable for heading out to the reef or Green Island region. Our boats are allowed anywhere within the very large and diverse Trinity Inlet. Can we rent multiple boats for a group? Absolutely, we are happy to rent multiple boats to a single party, however it is recommended that you book ahead so we can fully accommodate your needs. Please call or email us for a quote. Yes, we take a $100.00 deposit via cash credit card (Visa, Mastercard and EFT). 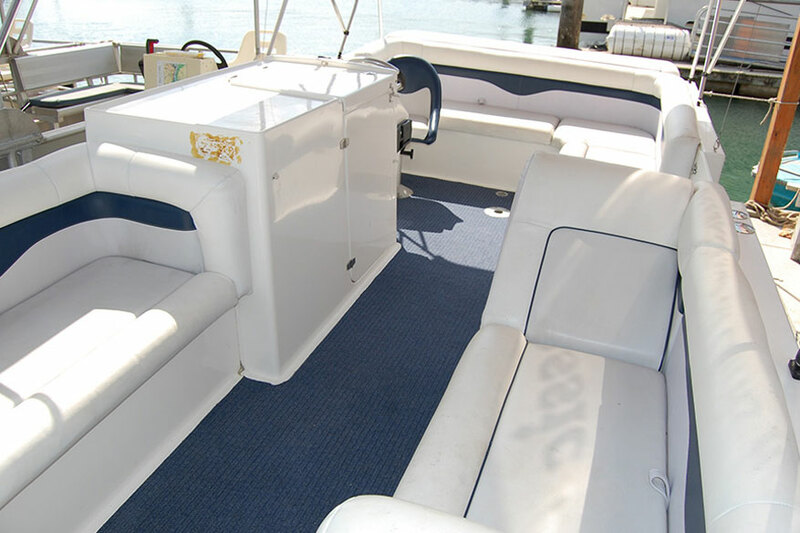 The purpose of this is to leave something of value that is a token of your integrity to comply with the rules of the hire and return of the boat in good condition. What if the weather is awful, and I choose to cancel my booking? If we deem the weather to be unsuitable for boating we will offer you the opportunity to reschedule or receive a refund. This decision will be made on the morning of your departure so please contact our office between 0800 and 0900 for an update. 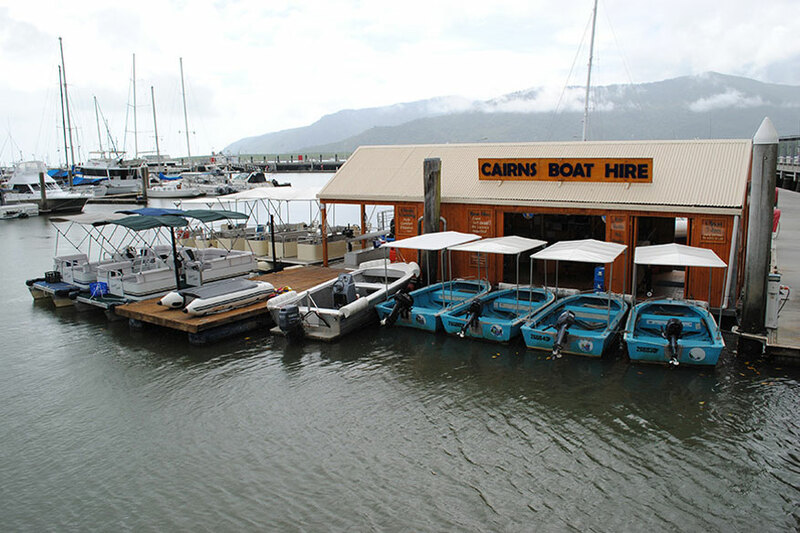 You must provide at least 24 hours notice to Cairns Boat Hire to cancel a booking or full payment will be due. 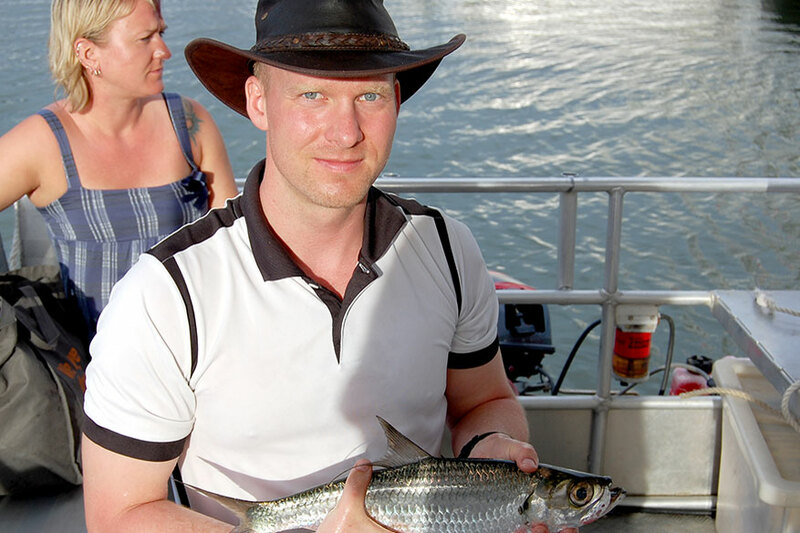 What sort of fish can I expect to catch? A range of fish inhabit the inlet. 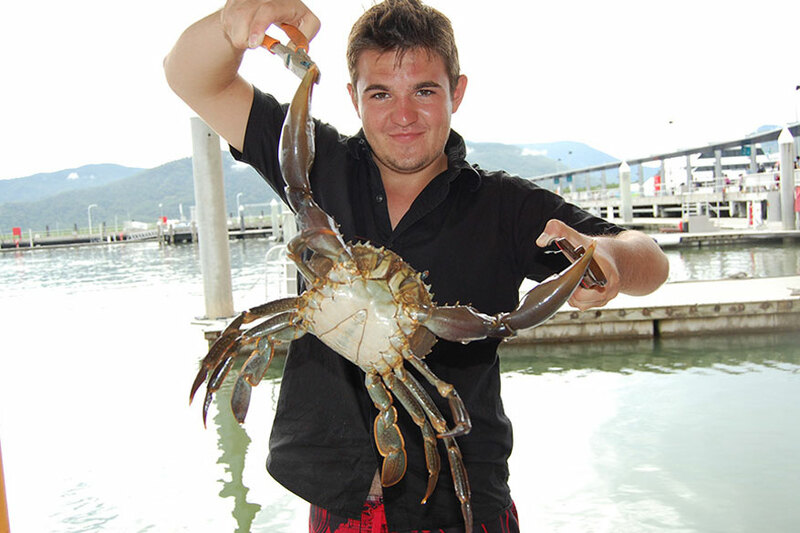 Depending on the time of year and the weather and tidal conditions, you might expect to find Barramundi, Trevally, Queenfish, Threadfin Salmon, Bream, Estuary Cod, Grunter and large Mud Crabs. Just ask us at time of booking or just before you head out. At almost all points in the Inlet, you will get mobile service. We do encourage that you take at least one phone with you to ensure you can contact us if necessary. Yes you can make payment with Visa, MasterCard, Cash or Eftpos. How fast do the boats go? If you do not have a boat licence the boats you can drive will not exceed a speed of 10 kts. For licensed drivers we do have some options too, so please contact us for a quote. Can I bring food and drink on the boat? Hat, sun block, insect repellent, snacks, drinks, mobile phone. We hire esky’s, ice, crab pots, bait and fishing equipment if you do not have your own. Children under 12 are required to wear a life jacket, we supply these also. Be aware that you will not always be fully shaded from the sun so you may also need other sun protection as well. Can we swim off the boat? No, we don’t recommend swimming. 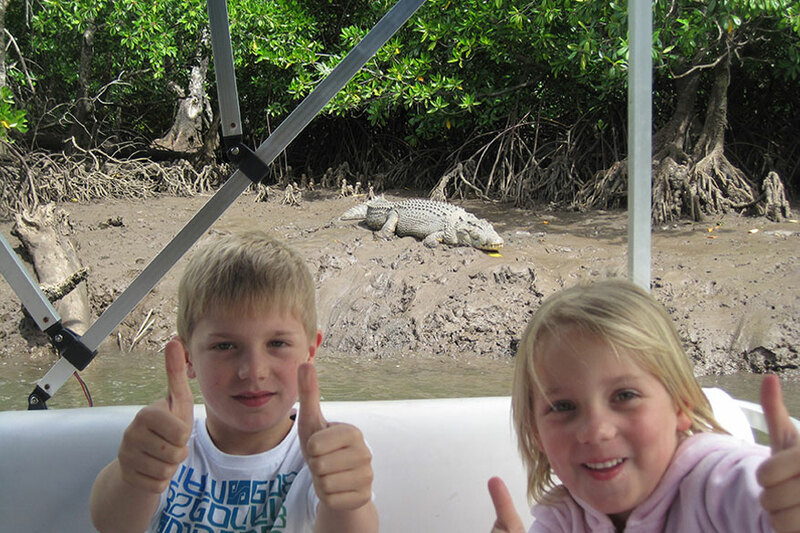 The Inlet is a very active crocodile environment and may have stingers present. Is there shade or cover from the weather on board? Yes but we do recommend you wear sun-safe clothing and protect yourself from the elements. book ahead so we can fully accommodate your needs. Please call or email us for a quote. Designated Driver/hirer must be at least 18 years old to drive the hire boat. The designated Driver/hirer must stay in the designated area of Operation (as shown on the map issued on check-in) on the Trinity Inlet at all times. At check-in the designated Driver/hirer will be provided with additional terms and conditions of hire that he/she must comply with and an agreement to sign. The designated Driver must not be under the influence of alcohol or drugs, or with a blood alcohol content in excess of any statutory limit. Charges will apply for the misuse of vessel or damage made to any property by the designated Driver/hirer. The designated Driver/hirer agrees to pay for repairs or replacement of any loss howsoever caused which is not covered by insurance. The designated Driver/hirer and all passengers agree to indemnify us against any and all claims arising from their participation in the hire, including any and all claims for injury, damage or loss. All passengers including the designated driver/hirer acknowledge and agree boating is a dangerous recreational activity and accept the risks associated. Swimming off the vessel is not recommended as crocodiles, stingers and other dangerous marine creatures are present in the waterway. Valuables are not recommended to be taken on board. We take no responsibility for any loss or damage of valuables. Cancellation must be received at least 24 hours prior to departure or full payment will be due and no refund will be given. If we need to cancel a booking due to inclement weather, or for any other reason, the booking will be rescheduled. If the booking cannot be rescheduled, a refund will be provided.